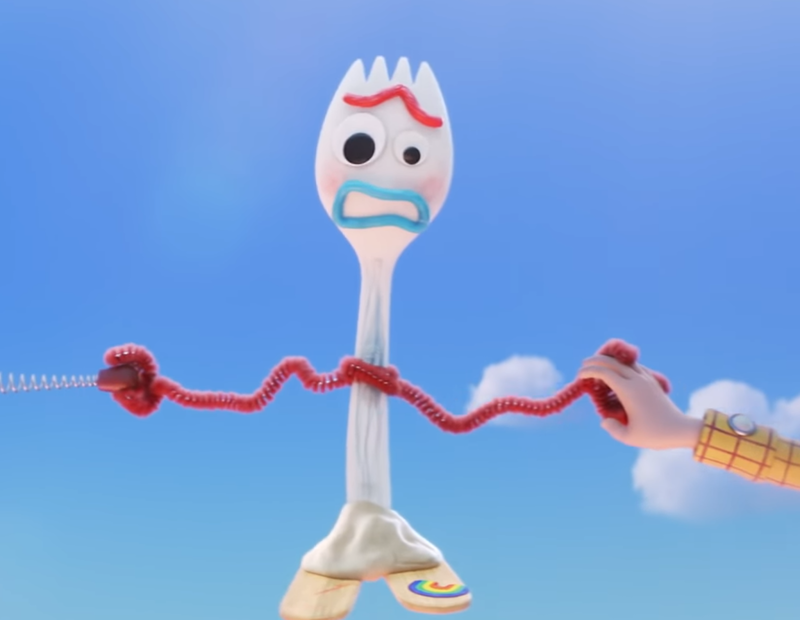 Dan the Pixar Fan: Toy Story 4: Custom DIY "Forky"
This past Monday (Nov 12), Disney·Pixar took us all by surprise by dropping the long awaited teaser trailer for Toy Story 4 without notice! While the teaser is not much more than a showcase of all our favorite classic Toy Story characters (Woody, Buzz, Jessie, Mr. & Mrs. 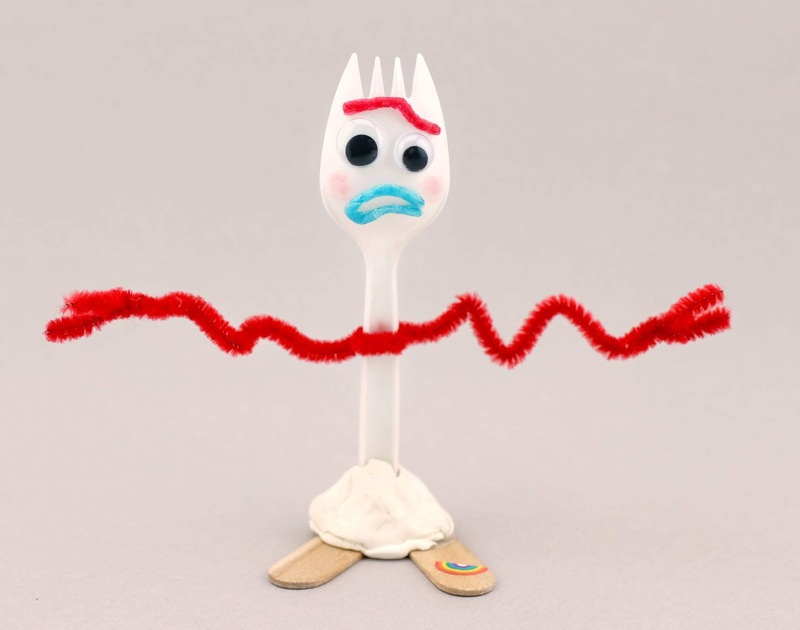 Potato Head, Rex, Ham, an Alien and Slinky), it does introduce us to ONE brand new never before seen character...a spork turned craft project/toy named Forky! I'm not usually one to make customs (mainly because I'm just not very good at them), but as soon as I saw this character, I knew it was a DIY project I could handle. Film Synopsis: When Bonnie introduces Forky, a handmade toy made from a spork, who has an existential crisis wanting to be spork and not a toy, Woody and the gang set off on a road trip adventure to help him understand how to be a toy. Along the way, they discover how big the world can really be for toys. 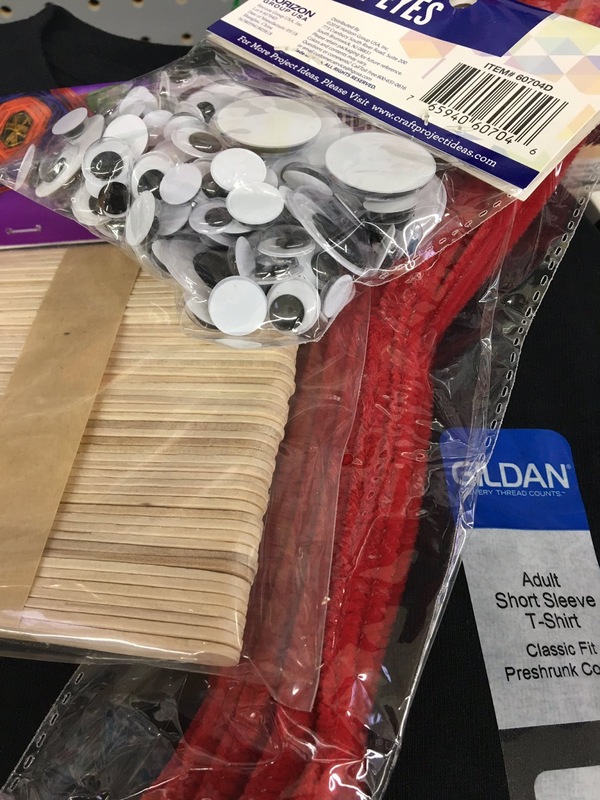 The next day I went out to Walmart (and a couple other stores) to find the perfect supplies to make Forky here. I picked up a variety pack of traditional googly eyes (which includes different sizes), some red pipe cleaner for his arms, some "wooden crafts sticks" (essentially just popsicle sticks) for his legs and a package of white Crayola Model Magic (which is basically just a lightweight, spongy, non-sticky clay–but you can honestly use real clay, Play-Doh or anything else along those lines) for his little base. As far as finding a spork, I couldn't find any after driving to several fast food restaurants (KFC, Taco Bell and Popeyes all only had black ones), Walmart and Target. Luckily I had heard many elementary schools have them in their cafeterias and my niece Kami confirmed this! She brought one home from school for me the very next day, which was so awesome of her. The prongs of the spork that I got are a little longer than what Forky has, but hey, beggars can't be choosers. Close enough. Note: I also cut some of the bottom of the spork off with scissors, since the utensil seemed a bit too long for Forky. Now he seems just the right height. The night I went to pick up the spork that Kami got for me, we started crafting the character right there together at my sister's house. We all had a lot of fun. My nephew Noah is already obsessed with the character and wanted to make one too! Kami, of course, also happened to have a little rainbow sticker that she found for me in her room (leave it to a nine year old girly girl, right?). Perfect for the little sticker seen on his wooden stick foot! Next was the facial features (mainly the eyebrow and mouth). I wasn't sure what material the filmmakers were going for here, but I used WikiStix (wax covered, bendable sticks of yarn that adhere to surfaces on their own)— which was actually recommend to me by a follower of mine on Twitter. After I saw this older commercial for the product, featuring kids making spoon characters using WikiStix, I was sold. It ended up working out just great I think, but you could probably get a similar effect, again, by using Play-Doh or clay. I still wonder what was exactly in mind when the artist designed him. The very last detail was adding his blushing/rosy cheeks. My wife Brita helped with that by just using some of her makeup and a Q-Tip! This worked flawlessly and she did a great job applying it. Anyway, that's about it! I'm pretty happy with how Forky turned out. Not perfect overall (it's really hard turning an animated character into something exact in the real world), but close enough. Even since I took the photo of him above I've improved him. I made his dough base much smaller to be a bit more accurate, got wider wooden craft sticks and a better rainbow sticker. As they say, "art is never completed, only abandoned." Below is my updated Forky! Have you made a custom Forky? I'd love to see it. Share it down below if you have, as well as any additional thoughts!